Are you aged 14 and up and interested in helping the library and earning community service hours and experience? Have you “graduated”from the JF group but still want to help, and also recognize how important community service is? Contact. Ms Lisa to get your name on an text list to be contacted when service opportunities arise!. Be part of our Teen Team! You don’t have to attend any meetings, or commit to any specific projects. We’ll just let you know when we need help, and you can decide if you can be available. Examples: Moving books – either to the basement, or from the basement to our book sale, sorting and boxing books for the September booksale, shoveling front walkway in winter, weeding gardens, baking for bake sales, donating hand-made items to our Holiday Fair, transporting donated books we can’t use to charities, possible workshops for younger kids, workshops for seniors regarding technology. We are always open to hearing your ideas as well! You may even earn a Plumb Library Tshirt for your efforts, and a card to waive your overdue fines four times per year. Driving Tests: Start your MA Driving Permit Practice here. Statewide Databases: Library closed? Try researching here. Includes Encyclopedia Britannica, newspapers, and much, much more. Do Something: A source for activist teens. Encyclopedia Mythica: The best source for myths of all kinds. Finaid: The smart student’s guide to financial aid. IMDB: Internet Movie DataBase, THE source for anything to do with movies. NoveList: Find your next great book here! No Flying, No Tights: Graphic novel lists and reviews. 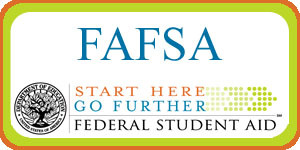 FAFSA: Get started here for your financial aid form. Reading Rants: When you need something different to read; out of the ordinary teen booklists. Teen Ink: Publish your own writing.